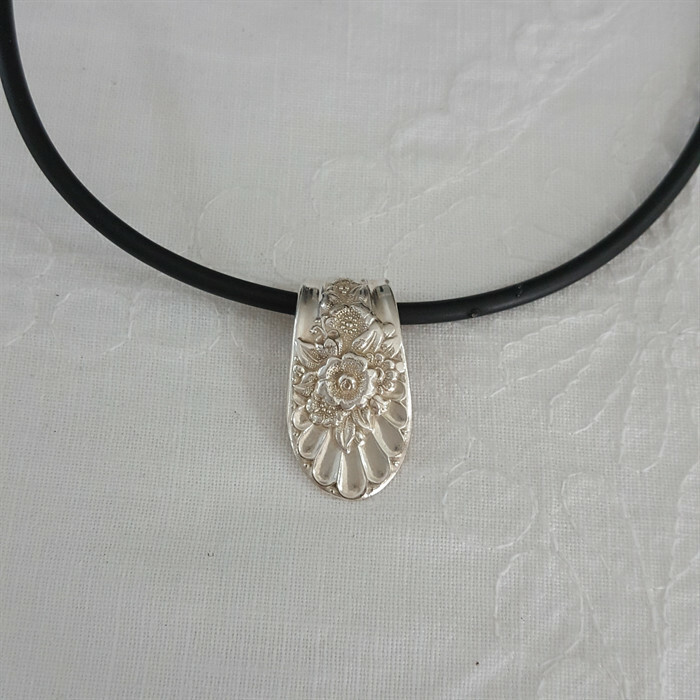 This pendant has been made from a vintage silver plated fork handle. It is approx 3cm in length. The black neoprene necklace is 45cm long so perfect to wear with an open necked top for summer. All my jewellery has been hand made from vintage, recycled silver plated cutlery. They are all made with care, using traditional tools, in my home workshop. Although my tools are modified to reduce the risk of scratches or marking on the pieces, it should be accepted that most are at least 50 yrs old so may show some marks from their previous life.